Ari Marmell is a graduate of the University of Houston with a Creative Writing degree, and has written several shared-world short stories and novels. He has worked for such role-playing games as Dungeons & Dragons and the World of Darkness, and written tie-in fiction for Vampire: the Masquerade and Magic: the Gathering. Marmell lives in Austin, Texas. You can read some of his short stories at Ari Marmell’s website. Corvis Rebaine — (2010-2011) Publisher: With The Conqueror’s Shadow, Ari Marmell brings a welcome seasoning of wit to the genre, proving that dark fantasy can address the enduring questions of good and evil and still retain a sense of humor. Playful yet intense, sharply sarcastic yet deeply sincere, The Conqueror’s Shadow announces the appearance of a unique talent — and an antihero like no other. They called him the Terror of the East. His past shrouded in mystery, his identity hidden beneath a suit of enchanted black armor and a skull-like helm, Corvis Rebaine carved a bloody path through Imphallion, aided by Davro, a savage ogre, and Seilloah, a witch with a taste for human flesh. No shield or weapon could stop his demon-forged axe. And no magic could match the spells of his demon slave, Khanda. Yet just when ultimate victory was in his grasp, Rebaine faltered. His plans of conquest, born from a desire to see Imphallion governed with firmness and honesty, shattered. Amid the chaos of a collapsing army, Rebaine vanished, taking only a single hostage — the young noblewoman Tyannon — to guarantee his escape. Seventeen years later, Rebaine and Tyannon are married, living in obscurity and raising their children, a daughter and a son. Rebaine has put his past behind him, given up his dreams of conquest. Not even news of Audriss — an upstart warlord following Rebaine’s old path of conquest — can stir the retired warrior to action. Until his daughter is assaulted by Audriss’s goons. Now, to rescue the country he once tried to conquer, Rebaine once more dons the armor of the Terror of the East and seeks out his former allies. But Davro has become a peaceful farmer. Seilloah has no wish to leave her haunted forest home. And Khanda… well, to describe his feelings for his former master as undying hatred would be an understatement. 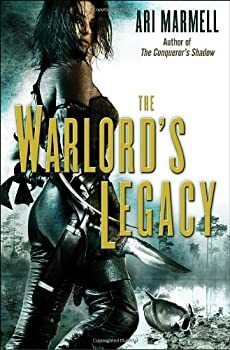 But even if Rebaine can convince his onetime comrades to join him, he faces a greater challenge: Does he dare to reawaken the part of him that gloried in cruelty, blood, and destruction? With the safety of his family at stake, can he dare not to? The Conqueror’s Shadow: A major surprise! 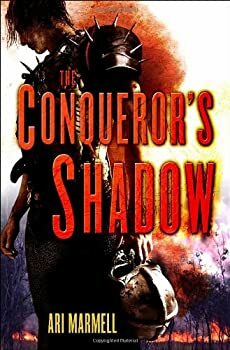 CLASSIFICATION: Combining lighthearted humor and graphic violence with both traditional fantasy tropes and trope-breaking twists, The Conqueror’s Shadow is what would happen if you took Dungeons & Dragons and crossed it with the writing styles of David Eddings and Joe Abercrombie. Widdershins Adventures — (2012-2015) Young adult. Publisher: Once she was Adrienne Satti. An orphan of Davillon, she had somehow escaped destitution and climbed to the ranks of the city’s aristocracy in a rags-to-riches story straight from an ancient fairy tale. Until one horrid night, when a conspiracy of forces — human and other — stole it all away in a flurry of blood and murder. Today she is Widdershins, a thief making her way through Davillon’s underbelly with a sharp blade, a sharper wit, and the mystical aid of Olgun, a foreign god with no other worshippers but Widdershins herself. It’s not a great life, certainly nothing compared to the one she once had, but it’s hers. But now, in the midst of Davillon’s political turmoil, an array of hands are once again rising up against her, prepared to tear down all that she’s built. The City Guard wants her in prison. Members of her own Guild want her dead. And something horrid, something dark, something ancient is reaching out for her, a past that refuses to let her go. Widdershins and Olgun are going to find answers, and justice, for what happened to her — but only if those who almost destroyed her in those years gone by don’t finish the job first. Note to self; Get the first two books in Ari Marmell’s WIDDERSHINS series, so that I am current on this fascinating character. If Lost Covenant is representative of this series, I’ll be in for a great time. Widdershins is a young, snarky female thief from the city of Davillon. She is unusually skilled, not only at climbing, running and skulking, but also swordplay and even firing flintlocks. Widdershins has a bit of an edge over other humans, although it is a mixed blessing. A god lives in her head. True, Olgun is a “tiny” god, with only one follower currently, but he can give Widdershins boosts of magical power when she needs it. The two of them live in a precarious symbiosis; Olgun needs a follower to survive; Olgun’s magical strength depends, at least in part, on how healthy and focused Widdershins is, at any point in time. 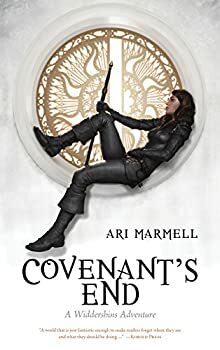 Thieves seem to be “in” this decade, and Ari Marmell’s Widdershins, from the COVENANT series, is one of the most popular in YA. 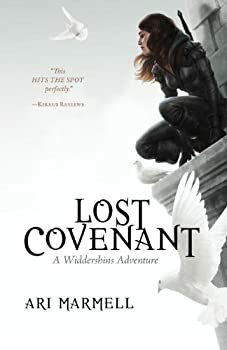 In Covenant’s End, Widdershins returns to her home city, only to discover that there have been drastic changes while she has been away. Some are huge and affect the entire city. Some are personal, shifting the fault lines in Shins’ heart. FORMAT/INFO: The Goblin Corps is 552 pages long divided over a Prologue, eleven numbered/titled chapters, and an Epilogue. Narration is in the third-person omniscient via numerous characters including the seven members of the Demon Squad, the Charnel King Morthûl, his lieutenant Vigo Havarren, Ananias DuMark, King Dororam, etc. 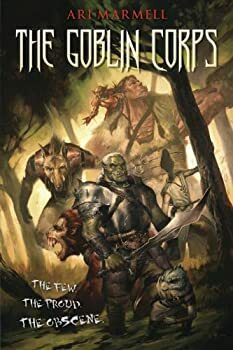 The Goblin Corps works well as a standalone novel, coming to a satisfying stopping point, but there is room for a sequel. July 2011 marks the North American Trade Paperback publication of The Goblin Corps via Pyr. Cover art is provided by Lucas Graciano. Mike Oberon — (2014- ) Publisher: Hot Lead, Cold Iron is the first novel in a brand-new fantasy detective series that will appeal to fans of Rivers of London and The Dresden Files. Chicago, 1932. Mick Oberon may look like just another private detective, but beneath the fedora and the overcoat, he’s got pointy ears and he’s packing a wand. Oberon’s used to solving supernatural crimes, but the latest one’s extra weird. A mobster’s daughter was kidnapped sixteen years ago, replaced with a changeling, and Mick’s been hired to find the real child. The trail’s gone cold, but what there is leads Sideways, to the world of the Fae, where the Seelie Court rules. And Mick’s not really welcome in the Seelie Court any more. He’ll have to wade through Fae politics and mob power struggles to find the kidnapper — and of course it’s the last person he expected. Darksiders: The Abomination Vault — (2012) Publisher: Ride with the Horsemen of the Apocalypse as they seek to unearth a plot that could plunge all of Creation into chaos! 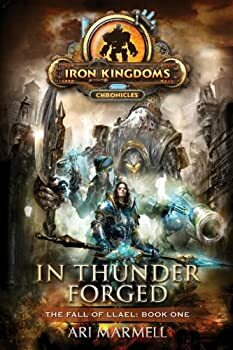 Ages before the events of Darksiders and Darksiders II, two of the feared Horsemen — Death and War — are tasked with stopping a group of renegades from locating the Abomination Vault: a hoard containing weapons of ultimate power and malice, capable of bringing an end to the uneasy truce between Heaven and Hell… but only by unleashing total destruction. Created in close collaboration with the Darksiders II teams at Vigil and THQ, Darksiders: The Abomination Vault gives an exciting look at the history and world of the Horsemen, shining a new light on the unbreakable bond between War and Death. CLICK HERE FOR MORE BY ARI MARMELL.